ADDIRIYAH, Saudi Arabia: Saudi Arabia will open up its borders to fans of live sport, music and culture for the first time with the launch of a new online visa process dedicated to welcoming international tourists. The new visa process platform known as ‘Sharek’ will be introduced for the inaugural Saudia Ad Diriyah E Prix being staged at a stunning UNESCO heritage site on the outskirts of Riyadh on December 15. Tuesday’s announcement at the venue, attended by Formula E stars including Felipe Massa, Susie Wolff and André Lotterer saw the new ‘Sharek’ platform launched as part of the country’s Vision2030 plan. 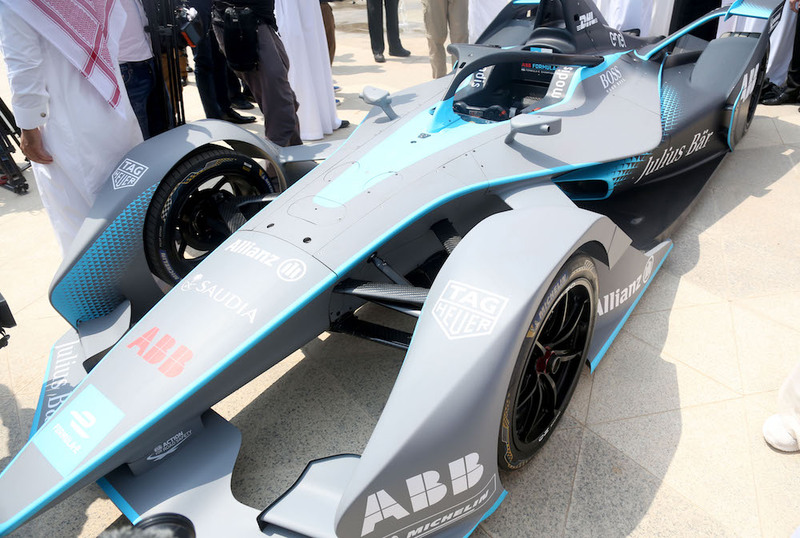 Organizers hope that a large number of international fans will access the online visa process and travel to the country to witness the debut of Formula E in the Middle East and the debut of striking new-look Gen2 car for the start of season five. The Kingdom’s commitment to tourism, a cornerstone of Vision2030, and the importance of Formula E within the sporting, social and business calendar of the region, was underscored by the announcement that Saudi Arabian Airlines (Saudia) – the national flag carrier of Saudi Arabia – is the new official airline partner of the ABB FIA Formula E Championship and the race title partner. Prince Abdulaziz Bin Turki Al-Faisal, Vice-Chair of the Saudi Arabia General Sports Authority, said: “This is a truly game-changing moment for Saudi Arabia and one that we can share with the world. It is very fitting that the such a futuristic and sustainable sport as Formula E is pointing to the future direction of our country. Naturally to have Saudia, our national carrier, as the new title sponsor signals our intent to reach out and invite fans to our historic and original capital. Prince Khalid bin Sultan Abdullah Al-Faisal, President of the Saudi Arabian Motor Federation, said: “We are not just opening up to international fans, but importantly we are opening up our nation to new and exciting sports. Giving new experiences. We hope some of the children who watch this first race will be inspired to be part of the industry over the course of the next decade. Ideally, they’ll be supporting, competing and winning on the track too. We firmly believe new opportunities will grow from the seeds planted from the historical roots of our nation in Diriyah. The event is officially sanctioned by the Fédération Internationale de l'Automobile (FIA) and its global safer driving campaign will be adopted and promoted.